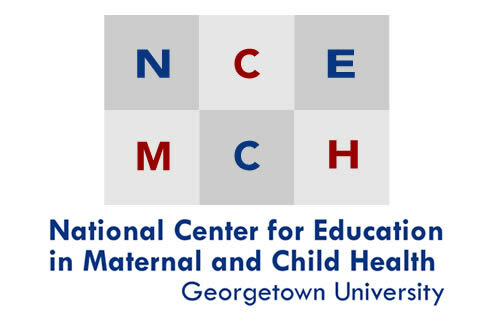 Georgetown University's MCH Navigator is pleased to present this list of online trainings and resources for use by the Title V workforce in understanding and implementing interdisciplinary and interprofessional training. Competency 10 of the MCH Leadership Competencies focuses on Interdisciplinary Team Building: "MCH systems are interdisciplinary in nature. Interdisciplinary practice provides a supportive environment in which the skills and expertise of team members from different disciplines, including families, are seen as essential and synergistic... Members of an interdisciplinary team may include a variety of professionals, consumers, families, and community partners." Goal 3 of the Division of MCH Workforce Development's Strategic Plan 2012-2020 supports the promotion of "interdisciplinary/interprofessional training, practice and interorganizational collaboration to improve quality of care by enhancing systems integration for MCH populations." Team building concepts, including stages of team development, practices that enhance teamwork, and managing team dynamics (Competency 10K1). Approaches to practice, addressing the evolution from multidisciplinary to interdisciplinary to transdisciplinary practice (Competency 10K2). Roles and competencies of individual disciplines (Competency 10K3). Assemble a team. Identify and assemble team members appropriate to a given task (e.g., research question, program, curriculum, clinical care issue) (Competency 10S1). Develop responsibilities. Develop and articulate shared vision, roles and responsibilities (Competency 10S2). Facilitate group processes. Facilitate group processes for team-based decisions (e.g., foster collaboration and cooperation) (Competency 10S3). Value diverse perspectives. Value and honor diverse perspectives (e.g., discipline, ethnic, cultural, economic) of team members (10S4). Identify influences on team. Identify forces that influence team dynamics (Competency 10S5). Enhance team functioning. Enhance team functioning, redirect team dynamics, and achieve a shared vision (Competency 10S6). Share leadership. Share leadership based on appropriate use of team member strengths in accomplishing activities and managing challenges for the team (Competency 10S7). Shared outcomes. Use shared outcomes to promote team synergy (Competency 10S9). Core competencies for interprofessional collaborative practice: Report of an expert panel. Interprofessional Education Collaborative Expert Panel. 2011. Washington, DC: Interprofessional Education Collaborative, 47 pp. This report presents a common core set of competencies relevant across six health professions (nursing, medicine, dentistry, pharmacy, public health, and osteopathy) to address essential preparation of clinicians for interprofessional collaborative practice. It also recommends learning experiences and educational strategies for achieving the competencies and related objectives. The report concludes with a discussion of key challenges to interprofessional competency development. Team-based competencies: Building a shared foundation for education and clinical practice–Conference proceedings. Interprofessional Education Collaborative. 2011. 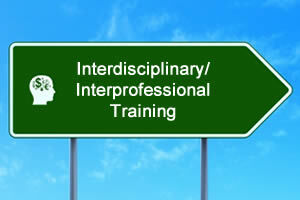 Washington, DC: Interprofessional Education Collaborative, 21 pp. This report reviews draft core competencies and creates the ground work for an action plan for using the competencies to transform health professional education and health care delivery in the United States. Topics include the need for collaborative care, factors that could influence change, and steps to advance interprofessional collaboration in education and practice. The conference agenda, participant list, and references and resources are also included. Interprofessional education: Tenth annual report to the Secretary of the US Department of Health and Human Services and to Congress. 2013. Rockville, MD: U.S. Health Resources and Services Administration, 27 pp. This report presents background and recommendations for an educational strategy to train health professionals in collaborative, team-based care to enhance client's experience of care (quality, access, and reliability), improve the population's health, and reduce the per capita cost of care. Topics include collaborative interprofessional education and training, assessment and evaluation, institutional leadership for interprofessional education, integration of oral health services and general health services, and policy development.